The photos below show our founder and director, Katy Allen-Mtui, teaching English to teachers and pupils in Rwanda's Gasabo District. Katy filmed the video below with her iPhone to illustrate the practical use of our NOEC books. 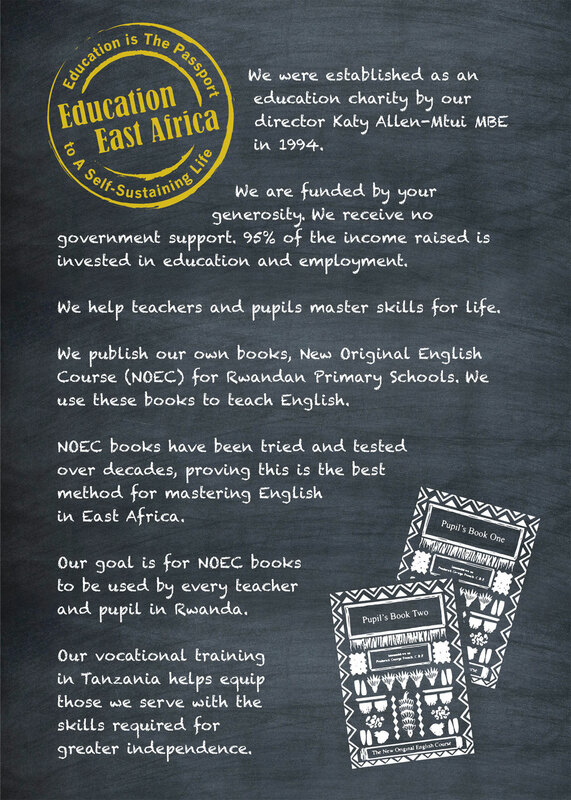 Generations of East Africans credit NOEC for their excellent command of English. Find a quiet place, settle in with a nice pot of tea, and relax for the next fifteen minutes as Katy transports you into her world. No other education charity delivers such tangible results for the community it serves. This is your donation in action, at the front line of a life-changing experience for teachers and pupils. Production Notes: We added surtitles and subtitles to the video to help explain what you’re seeing. Where you see ‘SPER,’ this refers to us. In Rwanda, our project is called Support to Primary Education Rwanda, or SPER for short. 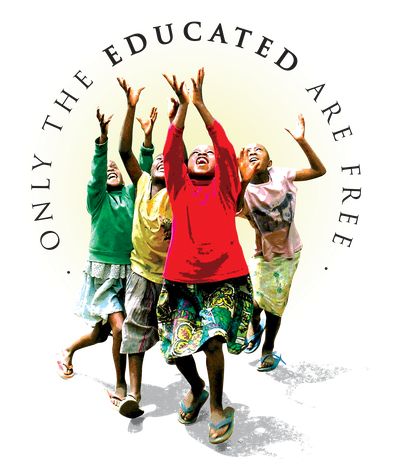 Education East Africa is SPER. In the first half of the video we’re observing the class before introducing The New Original English Course (NOEC) This is how most primary school pupils are taught English in Africa. In the second half of the video, you will see the teachers and pupils using our NOEC books, with accompanying wall charts. Notice how much easier it is for everyone when there is a real life connection with the words they are asked to learn. This is why we are desperate to get NOEC into every primary school in Rwanda.